In our last segment, we talked about the importance of knowing some basic terms (asset, liability, income, and expense) as well as the critical difference between income and expense on the one hand and mere cash flow on the other. If you missed that one and would like to review it, you can do so here. 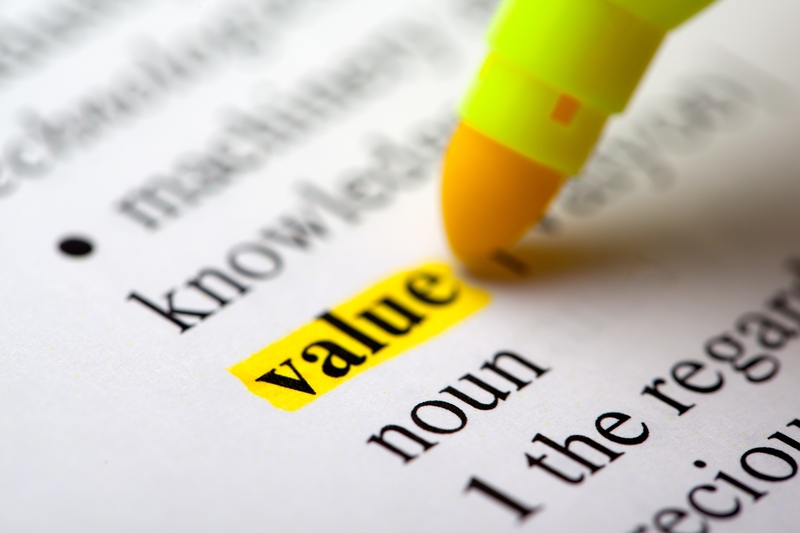 Our current segment addresses a topic that few of us pays as much attention to as we should: value and the cost of complexity. CFOs who are responsible not only for the business results of their organizations, but also for their cost and quality, pay a lot of attention to process and value. Most of the rest of us not so much. This seems to be purely a matter of mindset, since we personally can benefit just as much from simple, effective, and automated processes as businesses can. Why don’t we pay attention to such matters when it comes to our own lives? I think there are two separate answers to this question. Personal Professionalism. The first problem is that we don’t take ourselves seriously. We think, “Oh, I’m just a normal person and don’t need to think about all that fancy professional stuff when it comes to my own money.” But that doesn’t make sense. An engineer or business professional can easily earn upwards of $10 million during their career, and that’s a number that deserves your attention. Indeed, if you do make less, you have an incentive to leverage each dollar you earn even more aggressively than you would if you had money to burn. So go ahead and adopt a serious, professional approach to yourself and your money. You are worth it. Cost Versus Value. Learning to take a professional approach to one’s own money also means making separate and objective assessments about cost and value. For all but the most cash-strapped among us, our objective should be to maximize (long-term) value rather than minimize (short-term) cost, because that strategy effectively builds long-term wealth. Yet most of us make the mistake of spending a huge amount of our own valuable time on activities that we could easily – and more cost-effectively – outsource to others. Not only do we pay a huge opportunity cost for the outlay of our precious life energy – energy that could have been devoted to our careers or family goals – but also the results achieved will probably never measure up to what a reasonably priced professional could offer. In other words, we pay a big price (including opportunity cost) and settle for mediocre results. The next time you’re thinking about taking on a personal finance task to ‘save a bit of money,’ ask yourself this: If I were an independent finance professional running “Me, Inc.,” would I actually hire me to do this job? Or could a get a better result by hiring someone who can do this stuff in his sleep at less than my effective hourly rate? Then decide, as CFO. Professional CFOs occasionally take a step back and assess the organization and workflow of their organization. Is it structured to effectively perform? Is it missing critical resources? Or is it bloated and unresponsive to the needs of the people it serves? Personal financial structures need to be periodically reviewed in the same way. They don’t serve their masters optimally unless that have exactly the elements they need – and only those elements. While many individuals’ financial ‘machinery’ can be improved by the addition of an element or two, by far the biggest problems I see result from overly complicated or haphazardly cobbled-together personal financial structures. Such structures are unnecessarily costly. Yet by far the biggest problem they create for their owners is a lack of visibility and responsiveness. They make their owners’ finances both opaque and unmanageable. Take the engineer who has progressed rapidly in her career, making several advantageous moves to new companies over the past several years. Each time she has left an ‘orphaned’ 401(k) at her old company. Now she has a current 401(k) – which she is too busy to look at – plus three ‘old’ 401(k)s. She can barely remember the logins, and never bothers because each account looks different and offers options she doesn’t understand. So all her 401(k) money goes un-managed and she misses major market opportunities during her early career. Or take the contractor who, because he doesn’t have access to a company 401(k), visited his local bank each year and was instructed to open up a new “IRA CD.” When he came to talk to me he had eight individual IRA accounts, each of which consisted of a Certificate of Deposit with interest rates ranging from nil to under 2 percent, less than the rate of inflation. This was money that he was saving for his retirement at least 20 years hence, effectively losing purchasing power every year. Consider the couple nearing retirement who came to us owning more than 16 bank accounts and more than 20 credit cards. Why? Apparently because they couldn’t say no to any offer and also probably because they we proud to have so many accounts and credit cards. It made them feel important, and sophisticated. In truth, however, it had the opposite effect. It prevented them from having a basic understanding of where their cash was and what it was being used for. When we started to unravel the puzzle, it turned out that they weren’t in such great shape, but they had never been able to see that. We all get distracted by ‘shiny things.’ These are things that get our attention, tug on our heart strings (or purse strings) and we have a hard time ignoring them. Billion-dollar marketing firms are very, very adept at throwing shiny things like credit cards and ‘free’ new accounts into our paths. They make us feel good. We think we’re getting a ‘deal’ when we get an immediate discount on merchandise or a free toaster. But what we fail to understand is the long-term cost of these vehicles. What does it take to manage it, to account for it, to take it into consideration when we’re looking at our overall financial picture? And what, in turn, does it really add? Complexity, it turns out, is always costly. Extra stuff in your financial life slowly becomes a comfortable excuse that keeps you from knowing what you should know and doing what you want to do. So before you add another account, another capability, another credit card, etc., ask yourself: ‘Will this new thing really save me money, save me time, or truly help me do something important that I couldn’t do before?’ If not, then the better choice is always to keep it simple. Roll all of your legacy 401(k) accounts into an IRA or a single current 401(k). Maintain a single rollover IRA unless you represent one of the very few corner cases where more than one is called for. And resist having more than two bank accounts and credit cards, unless you actually make very specific use of them. When in doubt: fewer and simpler is always better.